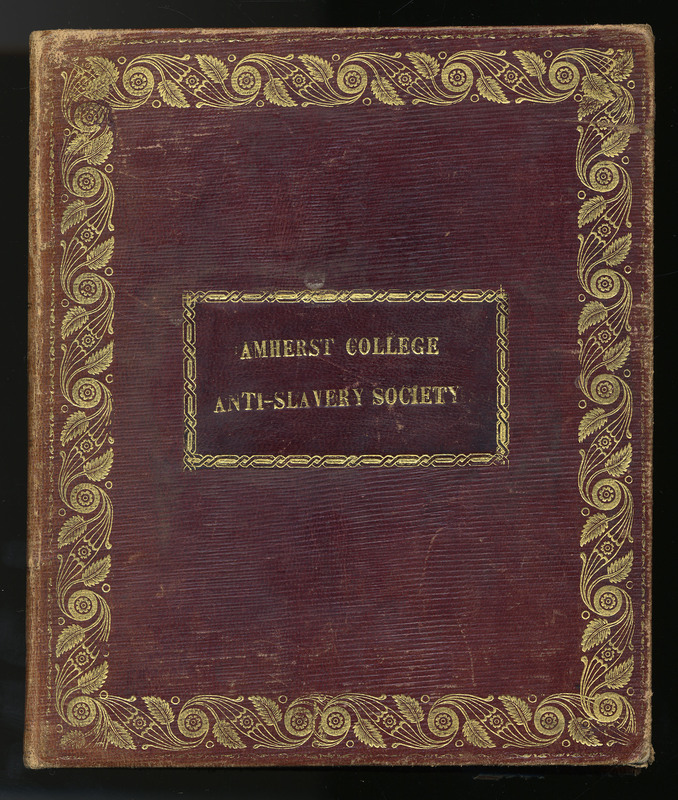 The records of the Amherst College Anti-Slavery Society provide an interesting glimpse into a formative period in College history. In addition to detailing the early history of activism about race at Amherst, they show the first strong challenge to the administration by students of the college. 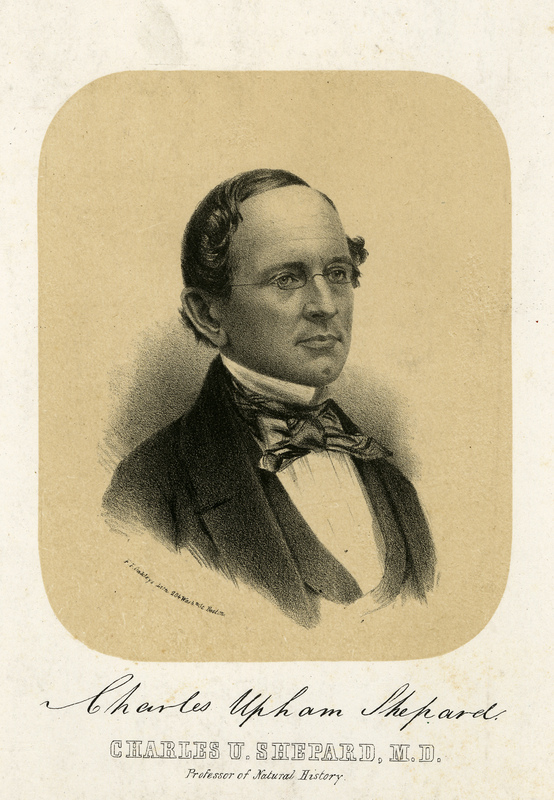 The Anti-Slavery Society was founded on July 19, 1833, just two weeks after the formation of the Amherst College and Amherst Colonization Society. Both groups were intended as local chapters of state or national organizations, and their activities on campus mirrored the debate playing out on the national level. A text is a text is a text. Sometimes, it’s more than one. 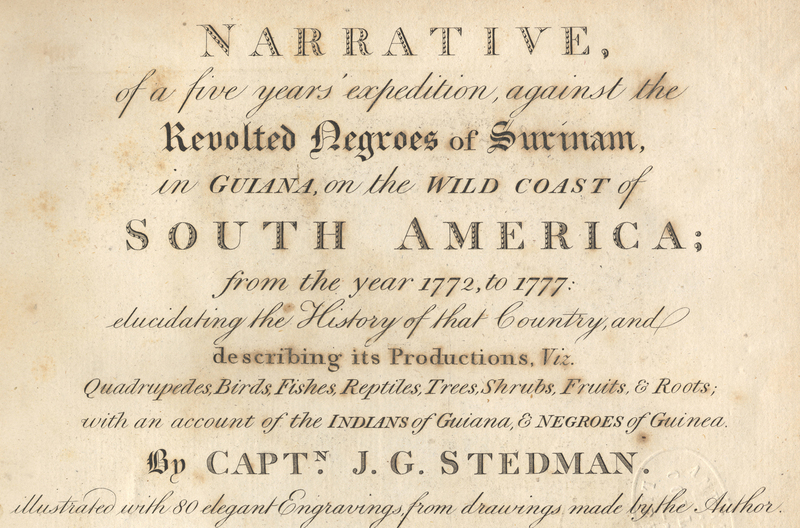 In 1772, the English officer John Gabriel Stedman was sent to the Dutch-controlled colony of Suriname in South America to help end an armed revolt by plantation slaves. 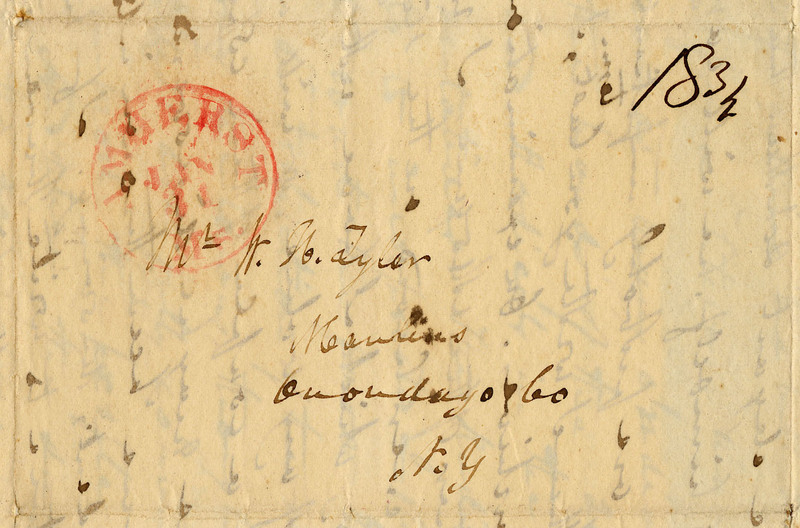 Stedman’s diary of his experiences in Suriname became the two-volume Narrative, of a five years’ expedition, against the revolted Negroes of Surinam, in Guiana... 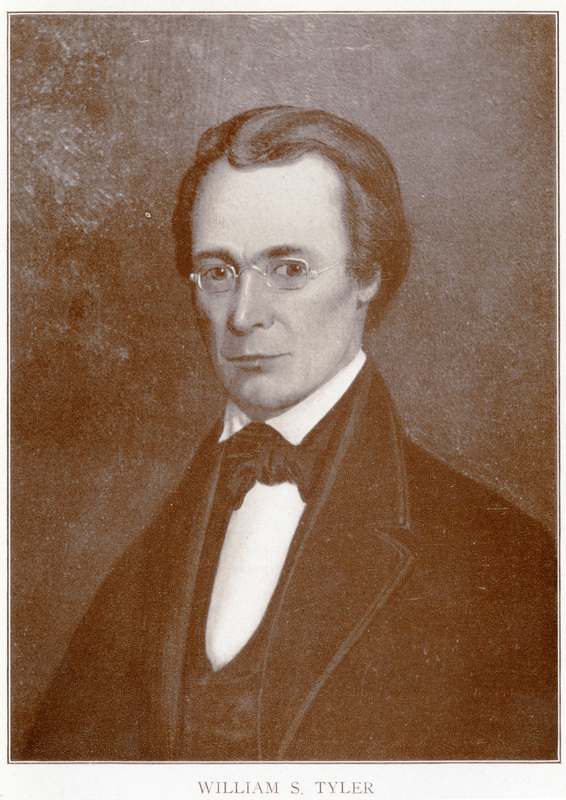 The Narrative was initially published by Joseph Johnson to great popular success in 1796.